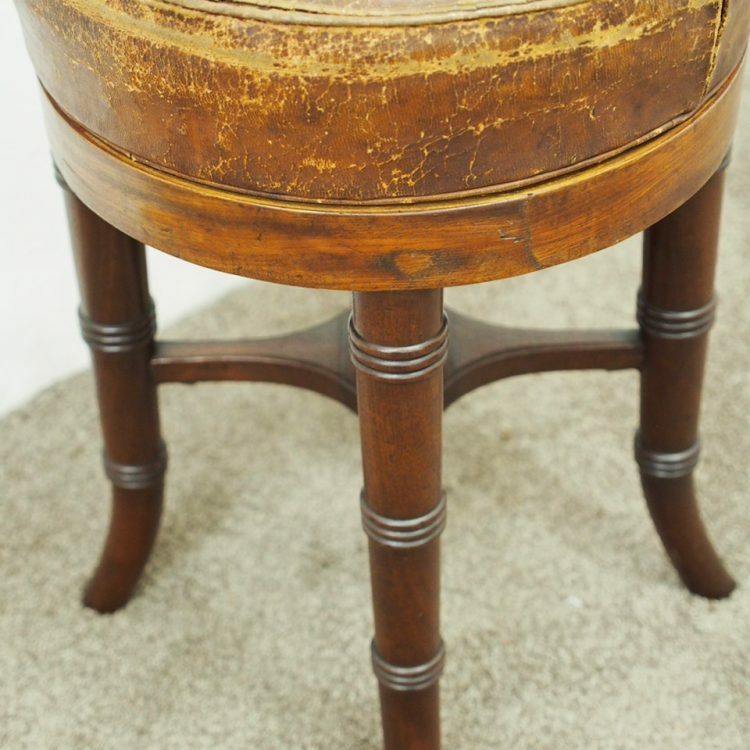 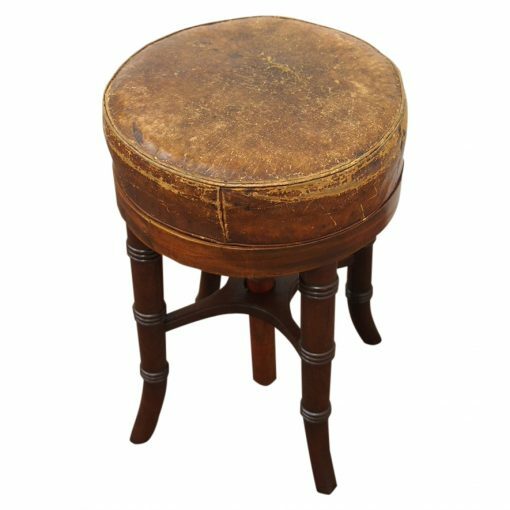 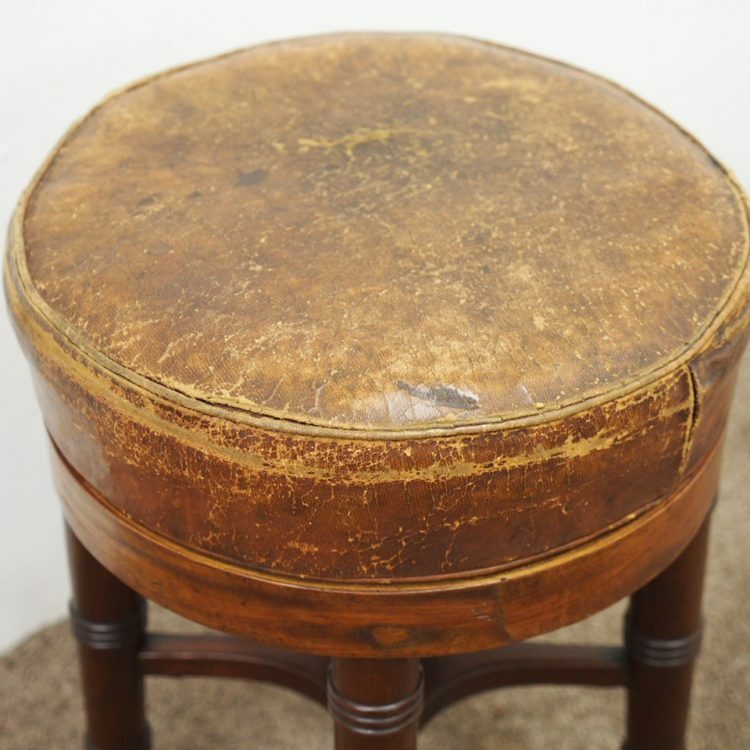 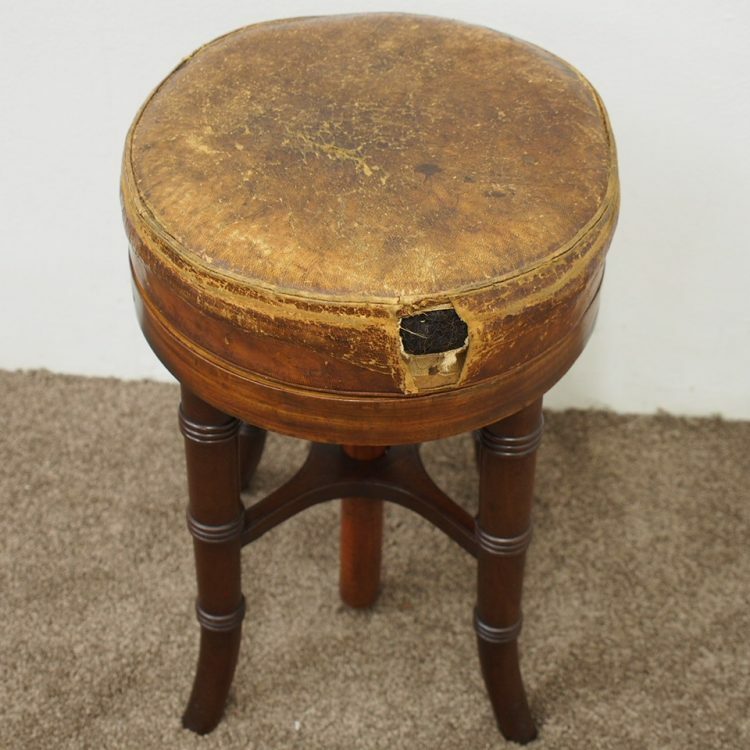 Circa 1820, George III mahogany circular revolving stool. 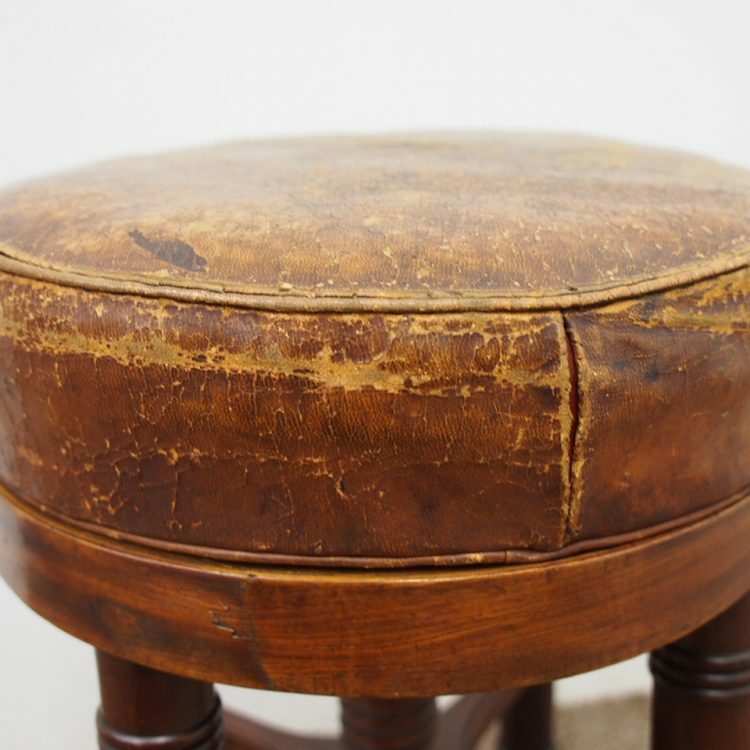 With a deep leather upholstered top, where there is some damage (the horse hair lining can be seen). 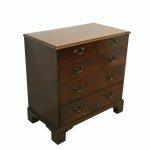 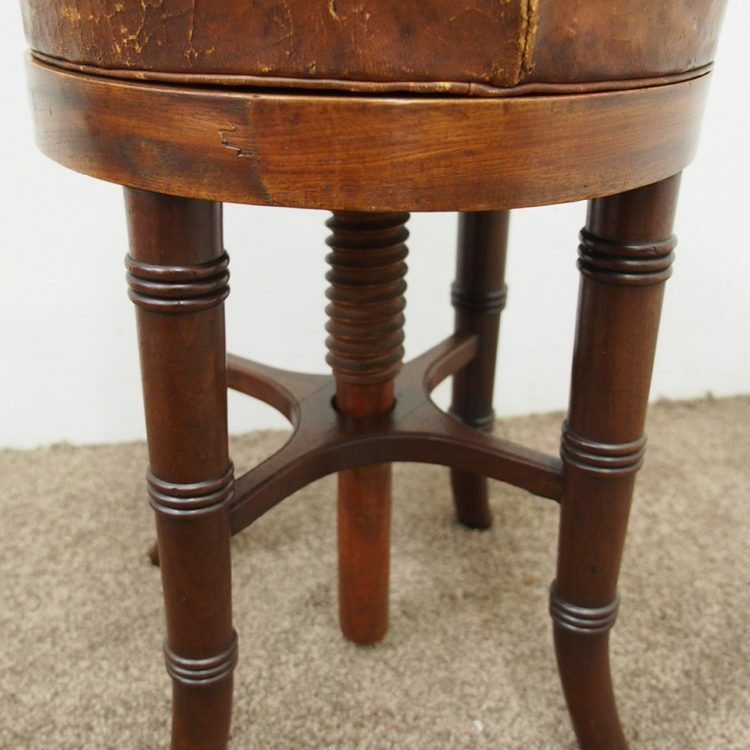 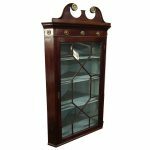 It has a deep apron to the base, and in the centre is a large mahogany screw, which is an unusual feature. 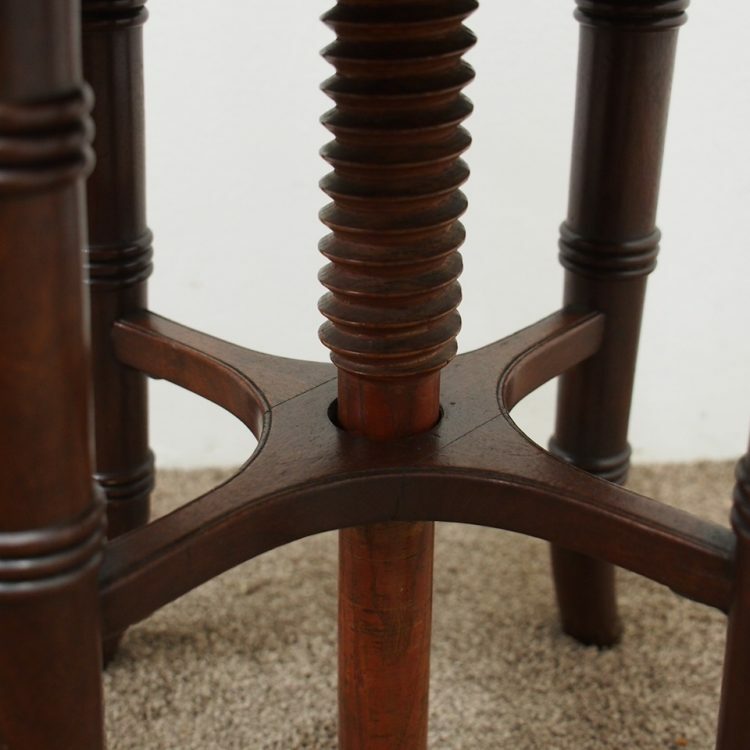 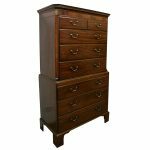 It has four turned and tapering legs which finish on an outswept toe.